Do you have a go-to dessert? You know the one that you make when time is short. The one you make when you are craving something sweet. Or the one you make when life is rough. The one that you think of first. The dessert that makes you the absolute happiest. I have a serious weakness for Homemade Brownies. 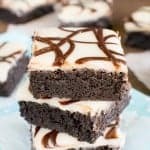 Chocolate brownies, mint brownies, blonde brownies, fudge brownies, cheesecake brownies, candy brownies…you get the point, right? I love me some brownies!!! A pan of fudgy brownies doesn’t stand a chance around me. 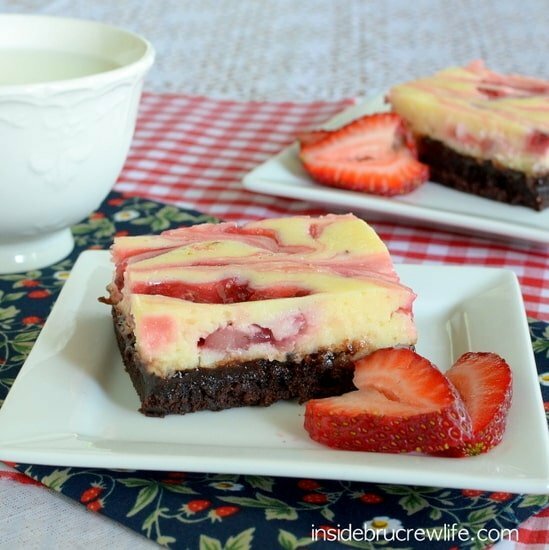 So, of course when I was asked to make dessert for a lunch yesterday, my mind went right to cheesecake brownies. I make them all the time, but usually with a different twist each time. It’s true…I rarely make the same dessert twice. 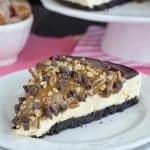 Well, except for these Ultimate Reese’s Cheesecake Brownies. Those do happen a little more often because they are stinking amazing! With summer right around the corner, (I still can’t believe the kids only have 2 weeks left of school) I wanted a summery blend that said beach. Strawberry says summer. Coconut says beach. Adding coconut to any dessert is my quick fix for “summer like” desserts. For some reason that ingredient just screams “tropics” to me. Just try closing your eyes when eating a coconut dessert, and you can almost imagine yourself on the beach with the wind blowing through your hair. I ate so many coconut desserts last summer in St. Maarten…it’s definitely a tropical favorite. 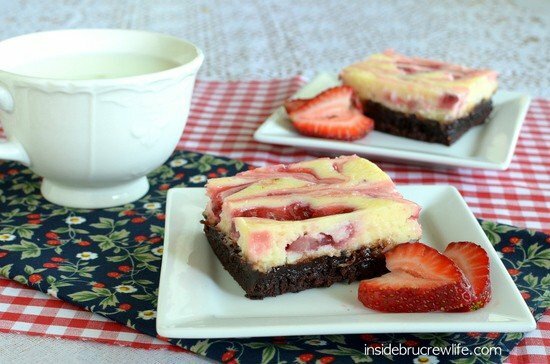 Chocolate, rum, strawberry, and coconut make these Strawberry Cheesecake Brownies definitely a beach worthy dessert. Or Monday worthy… or anytime of the week worthy! 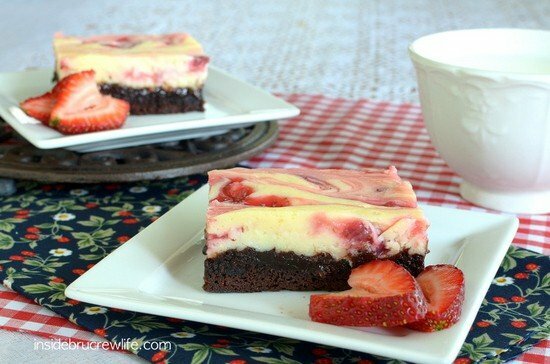 Go ahead and make a pan of these strawberry cheesecake brownies, and sit outside with a huge slice and some coffee. You will hear waves crashing in no time! Bring 3 cups water to boil in a saucepan. Add diced strawberries and bring back to a boil. Boil for 1 minute. Drain and set aside. In another saucepan mix sugar and cornstarch. Stir in syrup, lemon juice, and 3/4 cup water. Bring to a boil on high. Reduce heat to medium and simmer for 6 minutes stirring constantly. Remove from heat and stir in jello until combined, then add cooked strawberries. Set aside. Prepare brownie mix according to the back of the package. Pour into a greased 9×13 pan. Set aside. In a mixing bowl, cream the butter, cream cheese, and cornstarch. Stir in the milk, egg and extract and beat until creamy. Stir in coconut by hand if you like. Gently spoon on top of the brownie layer and spread out. 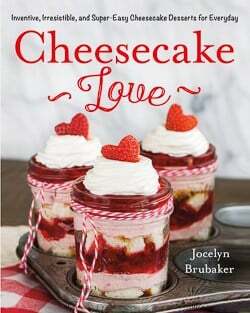 Drop spoonfuls of the pie filling on top of the cheesecake and swirl with a knife. Bake for 40-45 minutes. Cool on a wire rack. Refrigerate at least 4 hours before serving. If you don't like coconut, feel free to leave out the shredded coconut. You are too much for me this morning! All of a sudden the coconut milk on my cereal isn’t exactly satisfying that tropical urge you’re talking about 🙂 When I saw your Instagram pic the other day, I thought ‘yum, strawberry cheesecake’ I should have known that you’d have another delicious layer underneath! Holy flavor! This looks soooo good. 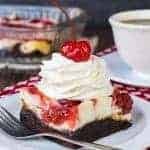 I love cheesecake on hot days AND you made it coconut!? I love you. I’m a brownies girl too. Whenever I’ve had a really bad day and crave chocolate? It’s a gooey brownie I want. 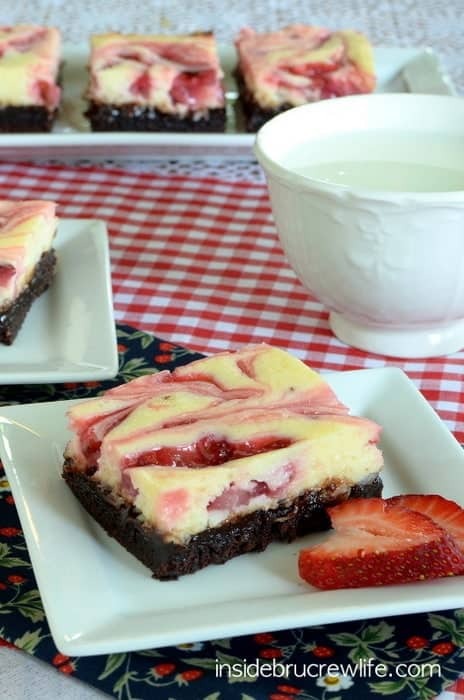 Especially one like this, with a topping so the brownies are even gooier. 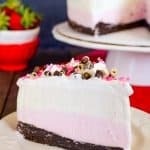 The strawberry cheesecake looks heavenly, and coconut? Come on, you had me at that. these look delicious + i love the addition of strawberry and coconut to make them both springy + tropical. yum! Oh YUM!!!! These sound so delicious!!!! 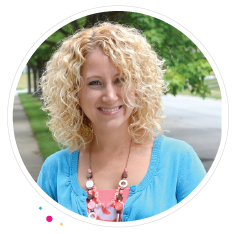 I love all the wonderful recipes you post, you are so creative!!! That looks way too good! I love the swirl design. Who needs a “Special” day for this treat? Just one quick question — when do you add the egg? I put it in with the milk and rum extract, and it looks like it’s going to be fantastic! It’s in the oven, and I can hardly wait!! Seriously How good do these look?!?! Absolutely scrumptious! I’ll be featuring your recipe on FB tomorrow. 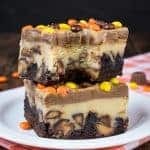 In the meantime, I wanted to thank you for your golden oreo brownie recipe (with the Reese’s Pieces). 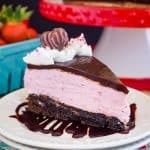 I made them for my daughter’s year-end Girl Scout celebration and they were a huge hit! oh my goodness, girl you amaze me, i need this now!